As marketers, Peter Drucker’s oft-repeated phrase, “What gets measured gets improved,” is more than a piece of wisdom—it’s a way of life. We know we need to measure results in order to actually get them, but all too often we’re measuring the wrong things—especially when it comes to social media metrics. It’s easy to fall into the trap of using “vanity metrics” to measure social media marketing. Vanity metrics are those sneaky metrics that make you feel good (Followers! Likes! Favorites! ), but don’t necessarily show success at impacting the bottom line of your business. However, social media marketing can and does impact the bottom line, either directly or indirectly. It follows that the success of a social media marketing campaign is measured by its ability to achieve business objectives. The good news is that it’s possible to break free of these social media vanity metrics and come out on the other side, by focusing on the single most important marketing metric: conversions. Social media can and does impact business objectives by helping companies acquire customers. This article uncovers why and how to measure your conversions. Eric Ries, the pioneer of the Lean movement, wrote a seminal piece on the dangers of vanity metrics that is still quite relevant today. According to Ries, the danger comes from focusing on a set of metrics that isn’t directly tied to a revenue stream. While 1,000 likes on your latest social post might make you feel warm and fuzzy, it doesn’t give a clear picture of the true health of your business. Other vanity metrics you might recognize are followers, retweets, shares, comments, impressions, and page views. You don’t have to immediately abandon all reporting of followers and likes—these metrics show traction and engagement, which are exciting for teams to see, and they are indicators of progress towards conversions. But they shouldn’t be touted as proof of success. The right social media strategies do add value to the bottom line, and as social media marketers, it’s our job to quantify this where we can. Useful measurement starts with knowing your conversion funnel. If you’ve been primarily focused on vanity metrics, go back to the basics of your original business objectives. Most likely one of these objectives is customer acquisition or sales. Shouldn’t the measurement of your social media strategies map back to this objective? Post link on Facebook to a webinar teaching 101 level techniques to designers > Visit landing page > Sign up for webinar > Follow up with sales link > Sign up for a trial as a new customer. Some may dismiss social media’s impact on the new customer conversion because it sits at the top of the funnel, so far removed from the final sale. But savvy marketers know there are smaller conversion points along the way to that sale that can be closely tracked and attributed to social media efforts. 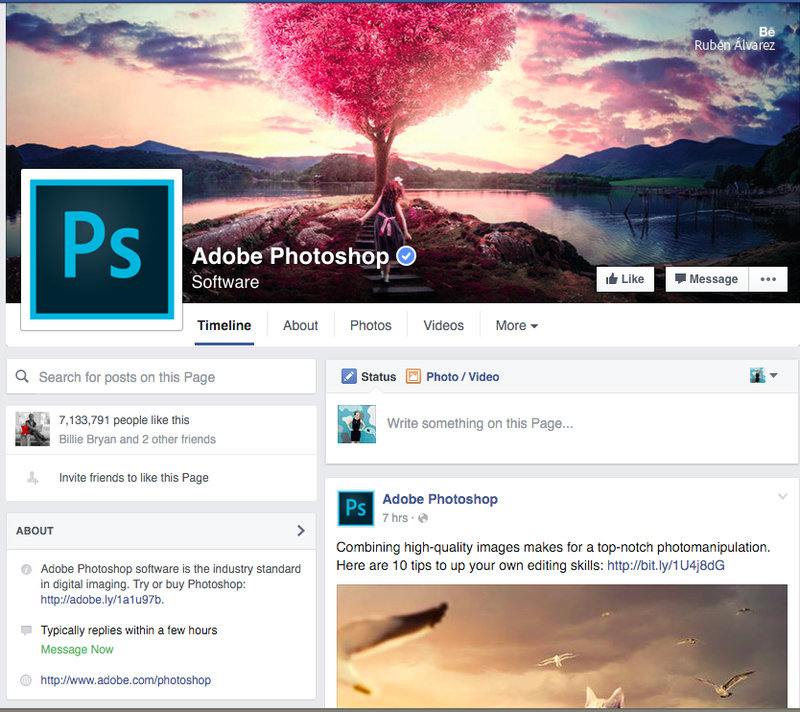 Adobe uses their social media messaging to inch the consumer along the journey, moving them from viewing content to following the page, engaging with the content on the page, and finally through to signing up for a trial. By following this process, Adobe can measure their social media success by setting conversion points throughout their acquisition funnel. Rather than concluding that the interview kit download didn’t close a sale, they can follow the customer along the sales journey and optimize at each conversion point. After you’ve defined the sales funnel with these smaller conversion points, that’s where the real fun begins and the objective of customer acquisition comes into play. This is where you measure the conversion from eyeballs to action, as Jay Baer says, and you can measure the actual value of your social media conversions. The best way to arrive at this metric is to break conversions down into two types: macro (sales) and micro (the steps a customer takes along the way to a sale, as we mapped out earlier, which could include signups, downloads, webinar views, etc.). 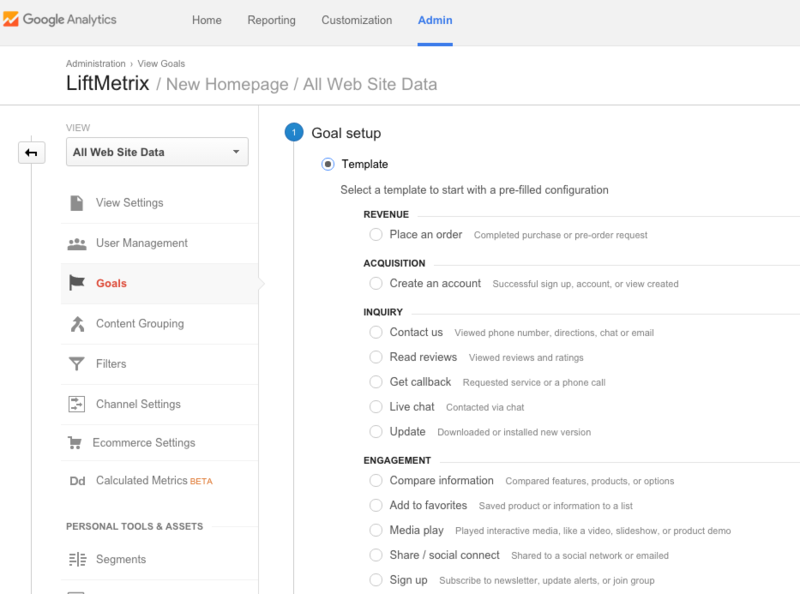 Best practice is to create goals in Google Analytics for each of your macro and micro conversion points. With these goals in place, you’ll be able to measure your performance by mapping back to the referral source, like Facebook or Twitter. Showing the value of each social channel is pretty powerful on its own, but it’s even more important to measure the ROI of your marketing campaigns down to the post level. After all, you’re spending time and money to create each piece of content. We need to understand if it’s worth it. Yes, it’s possible, and no, it’s not that hard. Google Analytics can track any URL that you can edit by appending some tags into the URL string. Emails, banner ads, Facebook links—you can track it all with something called UTM parameters. 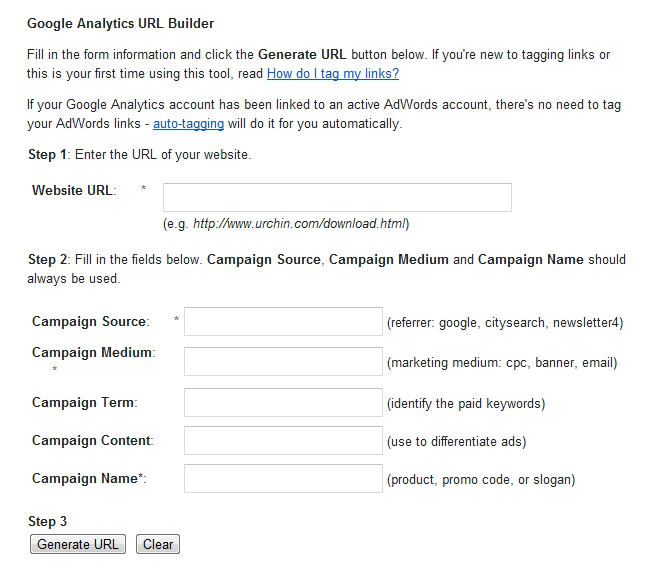 All you have to do is start building campaign URLs via Google’s URL Builder Tool. Input some basic information about your site and the link so that you can keep track of it in campaign reports. The tool generates a unique link with these parameters tagged within the URL. Now, drop it wherever you would normally place the link. When people use the link to access your site, it will come up in Analytics under the campaign you defined. With the addition of this handy tool to your arsenal, you’ll be armed with metrics and insights about your social media from a bird’s eye view all the way down to the level of individual tweets, photo shares, and posts. To understand which channel is providing the most value in terms of conversions, begin at the end with the desired outcome of your campaign, whatever that may be for your business. In Kaushik’s case, a high per visit goal value indicates success. In the chart above, StumbleUpon is performing extremely well, while Facebook is lagging. Working backwards, Kaushik can see where in the funnel visitors are dropping off and failing to convert, and optimize accordingly. With this data as ammunition, Kaushik can make a clear argument to his CEO on which channels are performing well, how much they are worth to the company, and how to better allocate their marketing spend to get a higher ROI. Connecting the dots between social media strategies and revenue is one of the most important things a marketer can do. 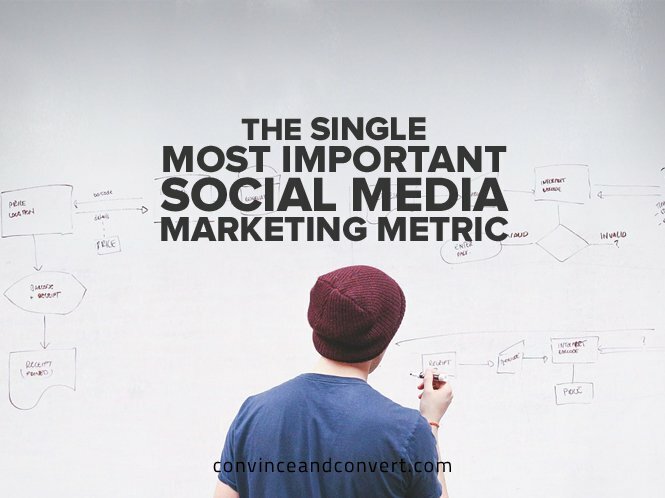 Measuring social media ROI is completely achievable—it’s just tracking the right metrics. To be confident in the day-to-day and long terms decisions you make, start by doing away with vanity metrics and starting tracking the micro and macro conversions that are important to the longevity of your business. Keep your most important metric in mind: conversions! Graham Gullans is the Co-Founder and COO of LiftMetrix, the leading social media ROI measurement solution for enterprises. LiftMetrix turns raw data into specific ROI metrics and recommendations. Graham is a prolific angel investor and Board Member for Zoomcar, the largest car rental company in India. Graham spends his free time flying planes and earning air miles through credit card points.